R. Kelly performs during The Buffet Tour at Allstate Arena on May 7, 2016 in Chicago, Illinois. Sometimes art not only imitates life; it influences it. Lifetime’s Surviving R. Kelly created record-breaking buzz for the network, but more importantly, it inspired people to take further action, including but not limited to engaging in support for survivors and calling for severe legal consequences for the R&B singer. As the documentary spanned about 30 years of sexual abuse allegations, many people wondered why R. Kelly isn’t in jail yet. Now, as TMZ has reported, the Fulton County District Attorney’s Office has opened up an investigation in Georgia in relation to the allegations made in the documentary. TMZ claims to have confirmation that investigators reached out to at least one of the survivors who appeared in the documentary, Asante McGee, as well as the attorney representing alleged victim Joycelyn Savage’s family. 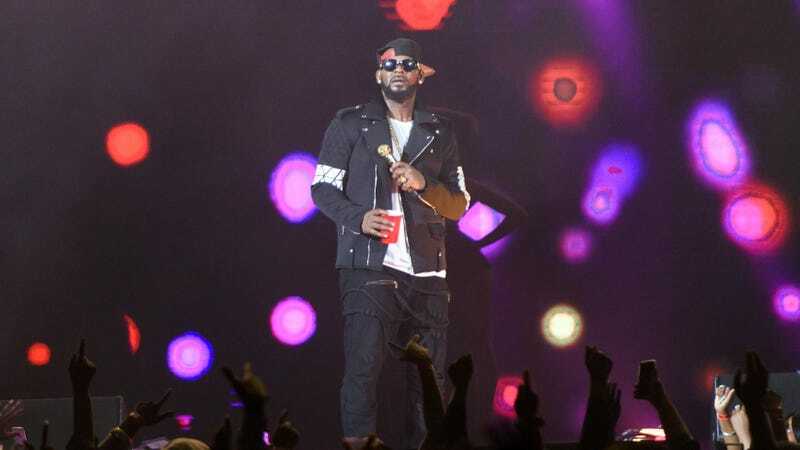 Anyone with any information regarding R. Kelly’s former Atlanta home is reportedly being questioned, as well. The Root has reached out to the Fulton County DA’s Office for comment and we’ll keep you posted with more details as they arise.